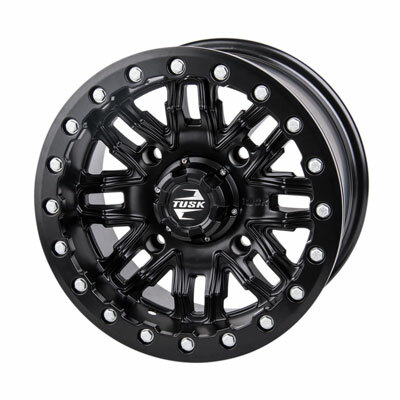 The Tusk Nebo beadlock wheels are one of the most affordable beadlock rims available for an ATV or UTV. 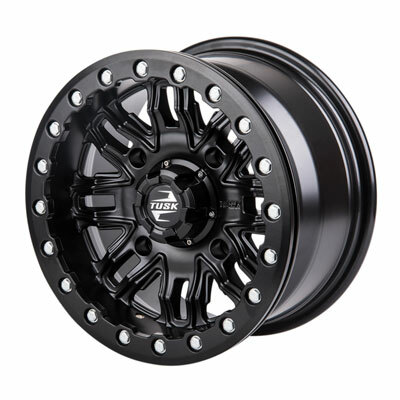 These are available in machined or black finishes to fit many off-road vehicles. What are the benefits of a beadlock wheel? - A beadlock wheel can offer added assurance similar to a spare wheel and tire in the case of a flat tire. - They will help keep the rim from spinning inside the tire and can stiffen up the sidewall of the tire while riding with low air pressure.